Hey babes, I have been slacking on the blogging. I've been so sick with bronchitis, it's like the never ending plague! I sound dramatic but I'm not kidding, I've been coughing my brains out for like 3 weeks. its depressing to be sick! Enough about me. Check out this gorgeousness. Graham and Green has SWEET stuff. A little out of my price range but what isnt? Also I am going to share something from "This is Glamorous" that my beautiful client Cherrene of http://www.threelittlefairies.co.uk/ shared on her fb page this morning that somehow I missed last week in the midst of being sick and not doing my daily surfing for treasures. Talk about DREAMY. I simply must visit London soon. We have quite a few great clients in London - including some little fairies I would love to hang with - & man, do they have the spas I want to work for. My next few posts I think will feature places I dream about. 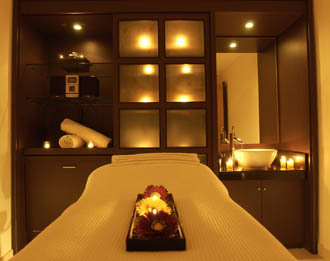 The K Spa at K West Hotel & Spa. A supposedly Scandinavian inspired water based experience, it sure looks magical. My favorite Papaya ladies now sell pouches! Just when I thought they wouldnt come out with more fun stuff for a while - they of course do. Im in awe of the growth of this business. I admire them so much. And wow, I LOVE these pouches. Who wouldn't? They are gorgeous. I want them all. Also cute little luggage tags. beauties!! If anyone ever wants to surprise me - bribe me - anything - send me a tassle keychain, I'll kiss your feet. It's hard for me to blog anything that bumps Alexander McQueen down off the first item but it's been up long enough, I hope everyone had a look. I just got the new Cambria Cove catalog - a decadent place to shop and be in love with everything there to be bought.... anyway, they have this first pink ice cream soft serve maker in the picture below but it got me looking for a cheaper option... cause you know you buy these things and only use them once. 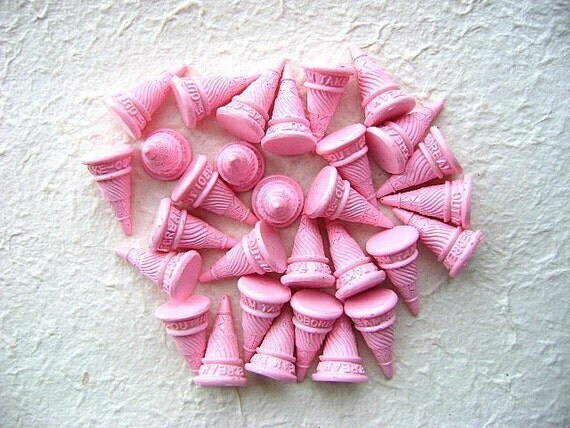 There are so many CUTE ice cream accessory type thingies out there. I think I settled on a kitchen timer just to make myself happy.